The common assumption about creating a sustainable procurement process is that sourcing goods as locally as possible is better for the environment than having a spread-out supplier network. It's easy to see how and why this belief has become widespread. The logistics involved in moving products and raw materials across great distances certainly have an ecological impact: Energy (usually fossil fuel) has to be consumed, which contributes to resource depletion and carbon emissions. Furthermore, it's more difficult to control production quality among foreign suppliers, as they're not subject to the same laws as producers based in the United States. The food sector is arguably the area in which this assumption is most prevalent: Increasingly, "local" and "sustainable" have become closely related and almost interchangeable in the way people talk about food sourcing. But even within this industry, the notion that products procured from local suppliers are by nature more ecologically sound risks oversimplification. 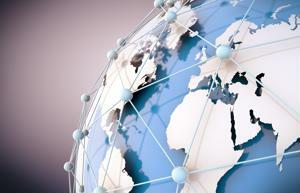 Can global sourcing be sustainable? Sustainability, like procurement itself, is a complex process that requires companies to consider an often huge number of factors - and with so many variables at play, it's often the case that the greenest option isn't the one that's closest to home. The Guardian recently partnered with British merchandiser and retailer Tesco to host a roundtable with other industry experts centered around the topic of sustainable sourcing in the consumer product market. Giles Bolton, Tesco's ethical trading director, spoke to the complexity of green procurement and how it drove changes in his company's supplier network. "In a lot of supply chains, this does really mean changing the way you operate," Bolton said at the event, according to The Guardian. "We decided a few years ago that whether it's about the environment, product quality or the way people are treated, we can't afford to just buy through agents in the UK." As a result, Tesco's sourcing process for bananas changed considerably. Rather than make its sourcing network more local, the retailer actually increased its global presence - and this was instrumental in helping the firm increase its sustainability. "We're big enough to have our own experts in countries to ensure suppliers operate to high ethical standards, and on average, we pay more than the Fairtrade minimum price for bananas," Bolton noted, according to the news source. The example of Tesco helps demonstrate that sustainable global sourcing is indeed possible. In fact, procuring goods from international partners - so long as these relationships are managed properly - might actually provide greater control over environmental impact.